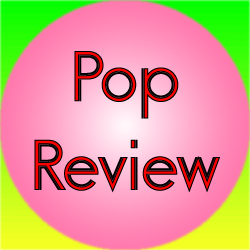 This review covers the pop track Neon Trees – Everybody Talks. This track was released in 2012 on the album Picture Show. The track starts with an acoustic guitar and vocals. It was an OK start, but when the lyrics were repeated three times, it had a bit of an awkward sound to it. On the first verse, the vocals had a moment of being extremely weird. Beyond that, I thought they were a bit slurred. The lyrics in this track had that sense of forced rhyming. Forcing a rhyme can make the track seem a bit unnatural. Mood is an important thing to get right. The overall vibe from the instrumental portion of the track is excitement, perhaps excessively so. Unfortunately, the lyrics, in the mean time, clash between a love story and talking about rumors – neither of which really match the mood of the instruments. Overall, while there are moods that this track does hit, it’s a bit of a mismatch with the lyrics. The vocals sometimes hits some strange notes in the process and end up slurring some of the lyrics. For me, this is not a track I would listen to after a few plays. Not for me.